The oil giant denies claims that it continues to secretly spray that cancer-causing dispersant on the Gulf slick. The BP oil disaster media response has softened to a dull roar in recent weeks, thanks largely to a government report claiming that three quarters of all leaked oil has been burned off, gathered, or evaporated. But what if the oil has actually just sunk to the bottom of the Gulf of Mexico, as some scientists believe? And what if it’s partly because BP and the Coast Guard are still spraying controversial chemical dispersants–known to contain carcinogenic, skin-absorbent ingredients–on the water? 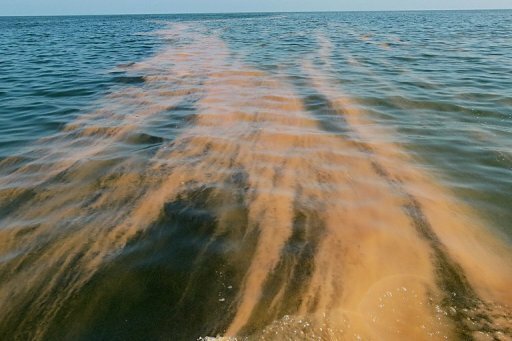 Zero Hedge points to a similar report from Truthout, which claims that Carolina Skiff boats have been spraying dispersants in the Mississippi sound as part of a deliberate attempt to keep participants in BP’s Vessels of Opportunity program from finding oil. Considering this is a company that fudged the size of the oil spill and even Photoshopped its crisis center to look more active, we’re not inclined to take its word at face value. If anyone has more evidence that BP and the Coast Guard are still spraying dispersants, let us know. Got information on the spill? Want to spill? Email us at oil@fastcompany.com. It’ll go directly to the lead reporter and editor on these stories, and they’ll assume all initial communication to be strictly confidential.